Ham Rong Mountain is one of the most beautiful tourist attractions of the town of sa pa. Ham Rong Mountain is rounded by clouds. Here the flowers bloom all year round. The season has its flowers, makes scene where innovation, and attractive travelers. Go here each season, visitors to enjoy new things separate each moment. Being shaped like a dragon’s head dimly looming in the thin veil of the early morning, Ham Rong Mountain that is fine combination of man-made and natural landscape is an attractive tourist area in the center of Sapa town. It can be said Ham Rong Mountain is a place to visit interesting tourist areas in particular Sapa viet nam and the country in general. 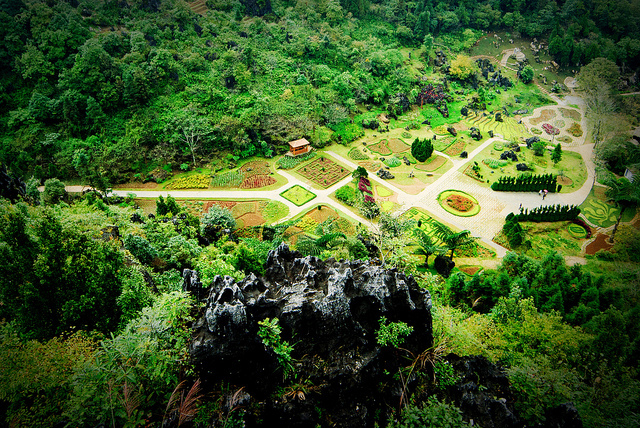 Come to Ham Rong to enjoy the natural beauty of this place.